4D Language: A glimpse into the future. 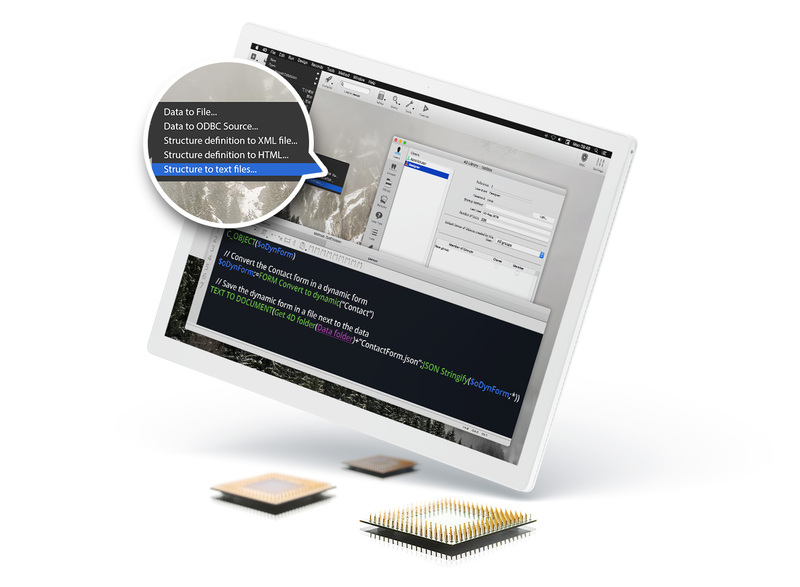 New tools that enlarge the programming capabilities. Objects become much more powerful. Get one step closer toward classes in the 4D language creating your own object methods. Ultimate performance and more connected users with newly added thread-safe commands. Get a sneak peek! Check out the first part of full source control support, with the ability to export the .4DB file into multiple text files. Give your users a tailor-made application that can go as far as redesigning a form on the fly with the export of classic 4D forms to dynamic forms. 4D Write Pro: Where Performance meets Elegance. 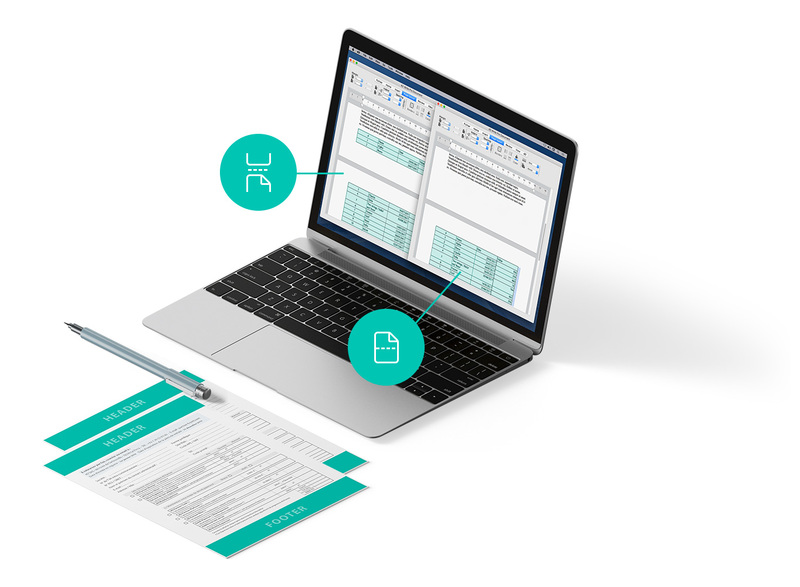 Additional functionalities for complex and eye-pleasant documents. Produce nice documents that reflect high quality text by getting rid of widows, orphans, and page breaks. New attributes, to the rescue. Not a fan of templates? We hear you. Two new commands are available to create headers and footers, programmatically. Create complex and beautifully designed documents, now adding layouts – sections… with code. 4D for iOS: Move beyond the Basics. More features to customize your business app. Needing more than what’s offered in our default templates? Easily create your own list and detail form templates, if ours don’t suit you. Define specific data types in your fields, for the content to be displayed in the correct format using Data formatters. Add your own icons to fit perfectly with your App design. Store them in the library to use with your iOS Application. 4D View Pro: You asked for this, and we delivered. Work with Microsoft Excel (.xlsx) documents using 4D View Pro. Take your 4D business applications one step further, toward better integration with the MS Office environment.